Solid Oak Pet Urn with free engraving on a brass plate. 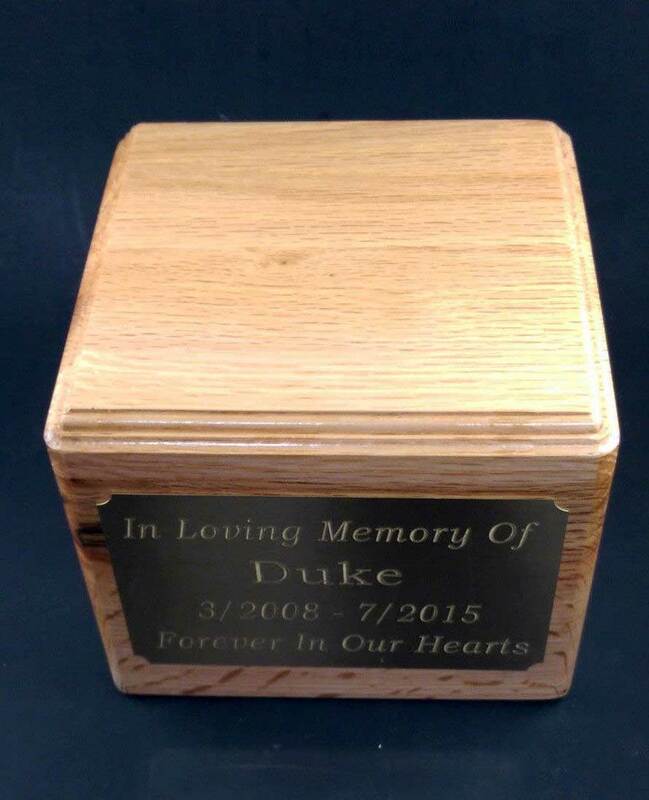 Solid Oak pet urn with free engraving. 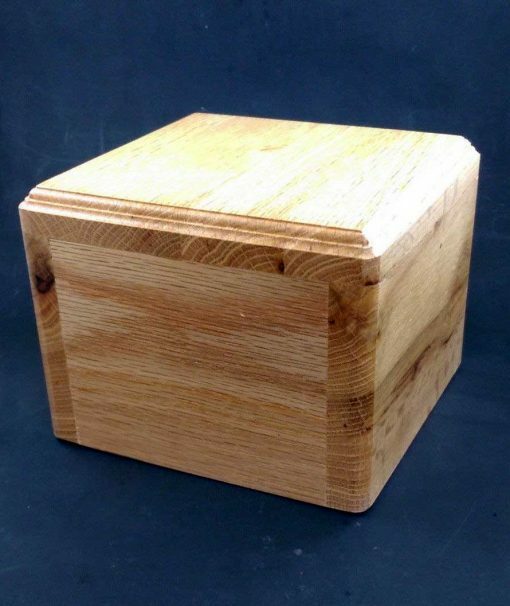 A solid oak pet urn measuring 6″ x 6″ x 5″ and about 56 cubic inches . 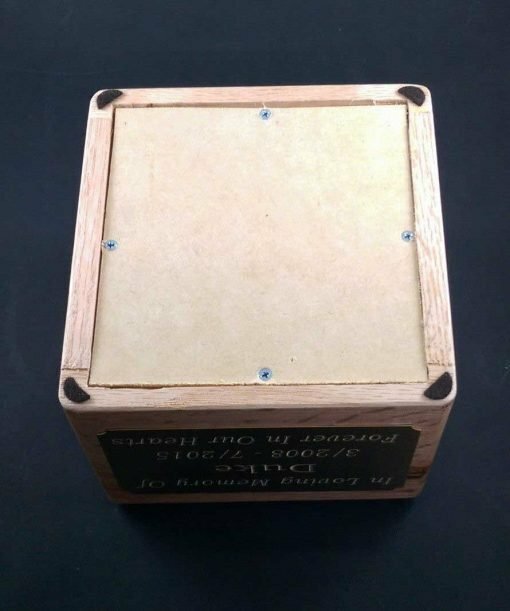 This urn will hold ashes of any animal that weighed up to 55 lbs . 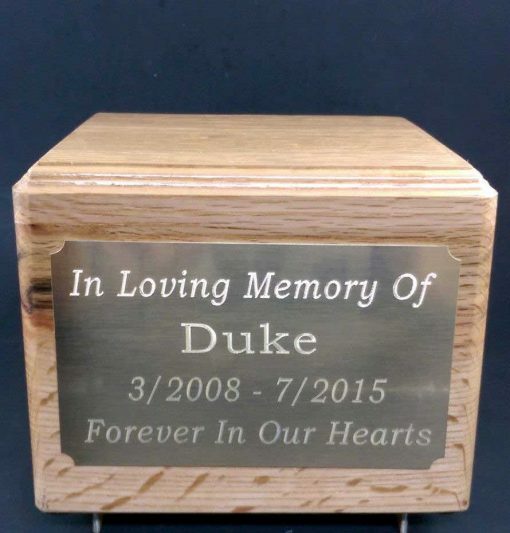 Urn comes wit custom engraved brass plate (pictured). Please provide the engraving in the 4 boxes provided. 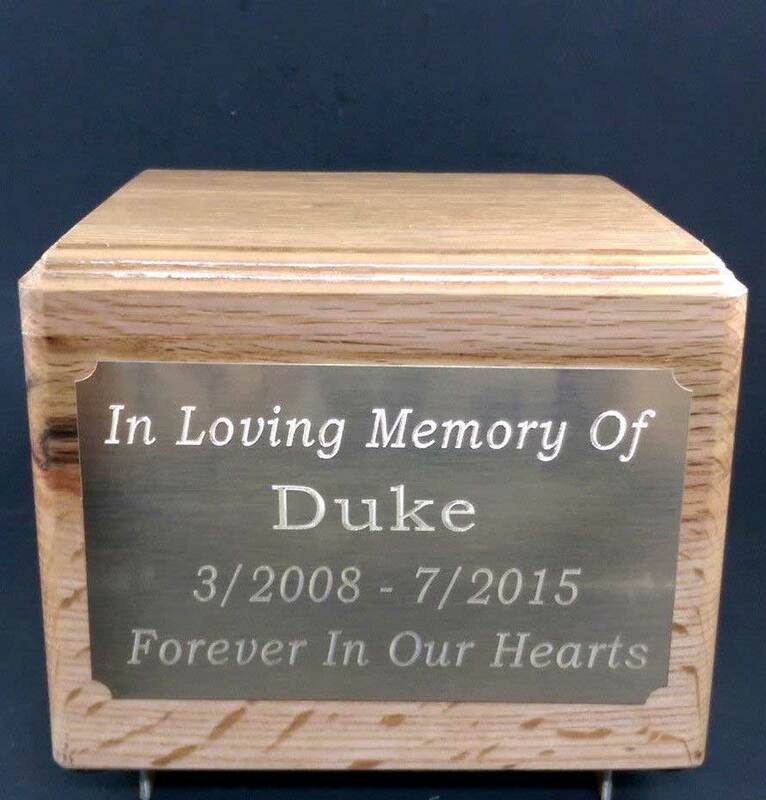 All engraving will be aligned on the plate from top to bottom and right to left. Generally we ship orders using USPS. 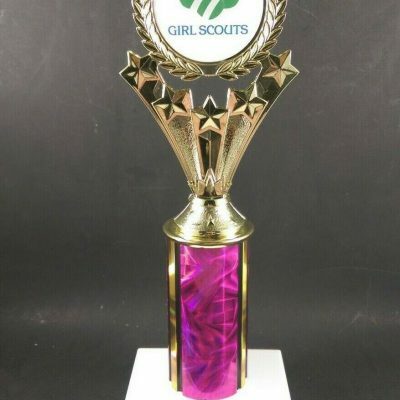 Most orders are shipped within 48 hours of receiving the payment. 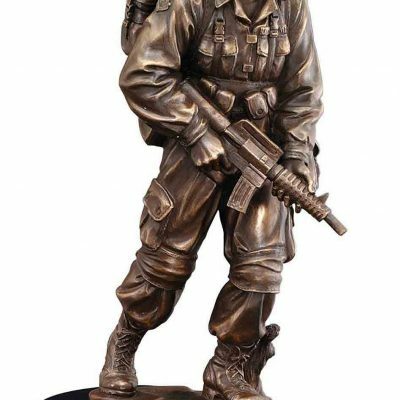 I will combine or discount shipping on multiple purchases. 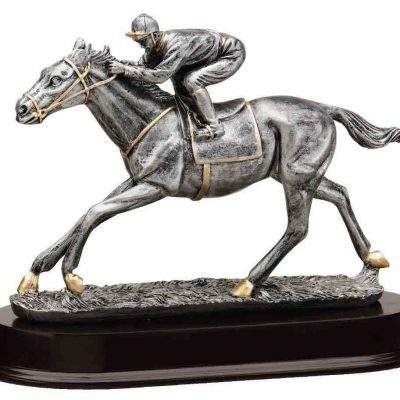 Please email or call us for large order to get discount shipping. We strive for quality and excellent service. If for any reason you are not satisfied with our products we offer 14 day return service. Please contact before leaving negative feedback. We will do our best to resolve the issue. Shipping charges are non-refundable.